Floyd Mayweather likes to say “Men lie. Women lie. Numbers don’t lie!” While that is a factually accurate statement, it is also a meaningless one. Numbers do not lie. But they can be used to justify any manner of shoddy argument. And the number Floyd Mayweather is talking about is his undefeated record. For Mayweather and his most dedicated fanboys, the fact that he has never lost is somehow supposed to prove that he is “TBE”–the best ever. But he heading into his clown show with Conor McGregor, Mayweather is clearly in the class of the all time greats. He is alongside Pernell Whitaker as the greatest defensive fighter I have ever seen. And to remain unbeaten at the level he fought, for as long as he has done it, is without question a major achievement in the sport’s history. Mayweather is often compared to Rocky Marciano, who retired at 49-0 as heavyweight champion–but of Marciano’s 49 victories, only a handful came against other top contenders. 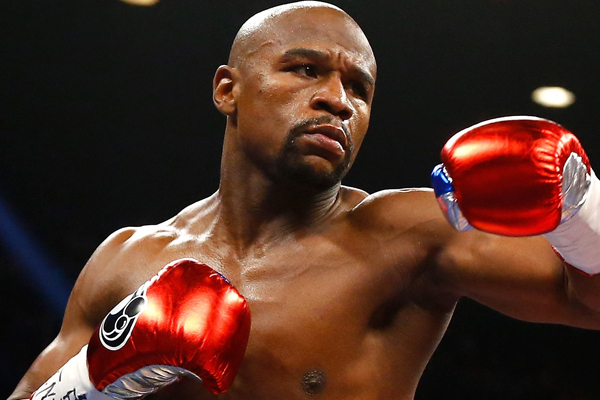 Mayweather has been fighting other elite talent for the majority of his career. 1. He probably deserved to lose his first fight with Jose Luis Castillo. He turned in a gritty performance with a broken hand and the decision is not as egregious as it is often portrayed and he removed all doubt in the rematch. 2. It would have been very interesting to see him fight Paul Williams in 2008, instead of goofing off in the WWE. I would have liked to see how he would have handled a busy southpaw with a far larger frame. Mayweather was a very small welterweight and Williams was a giant. That sort of performance could have provided more clarity for Mayweather’s all-time, pound-for-pound standing. 3. It would have been much more interesting to see him fight Manny Pacquiao back in 2010. At the time Pacquiao was at his explosive, weight-climbing best. I think Mayweather would have handled him with the same relative ease as when they finally got together. But a younger Pacquiao would have had a better chance at forcing a true fight.